I am Moreta Alegre, 65 years old. My husband Jesus Alegre is 67, and my son Selman Alegre is 37. We are from Sagay, Negros Occidental. I have seven children. We lived through ﬁshing and tilling our small land. I cannot read and write. Jesus could write his name but he could barely read and write as well. We are a family who are languishing in prison for seven years. My husband and son are in the National Bilibid Prison in Multinlupa. I am jailed at the Correctional Institution for Women. We were imprisoned because of a land dispute with a landlord who grabbed our land. The landlord claimed ownership to a 15-hectareland including the 1.12 we were tilling. We already planted the land with coconut trees. Thiis our source of income for our daily expenses. We sold coconut wine (tuba) every day. We also made copras to support our children. When we found out that the landlord applied a title to the land, including the portion that we occupied, we ﬁled a formal protest to the Bureau of Lands. Because of the protest, the landlord did not get the title to the land. This caught the ire of the landlord. But we only fought for our right to the land. Our ﬁght caused the death of my son, Romeo. Despite Romeo’s death and the threats and harassments from the landlord, we did not leave our land. Unfortunately, one of the landlord’s men, Rogelio Tipon was killed by an unidentiﬁed person. The landlord blamed us for his death. We were accused of murder and later convicted to suffer in jail for life. The main witness to the murder incident was the landlord himself. While we were on trial, the main complainant, Mrs. Helena Tipon, wife of the deceased Rogelio Tipon executed an Afﬁdavit of Desistance. But because of the insistence of the landlord, the Court continued to prosecute the case. Tipon’s Afﬁdavit of Desistance was never formally ﬁled and instead diverted the complainant to the People of the Philippines. Besides us who are now in jail, two of my sons are still at large for the same crime. Not one of our relatives ever visited us because they are far from Manila. Our two sons who are supposedly at large are afraid to come out for fear of detention. Our long years of imprisonment caused us ailments. My husband and I are suffering from arthritis and hypertension. I have a weak heart. I could barely move. I feel so old now. I feel pain in my chest. Please help us so we can still see our children and our grandchildren. We do not want to die without seeing them. I wish to see them but they are so far. I also wish I could visit my husband and son at the New Bilibid Prison. I wonder how they are coping with all these. The three of us are here in Manila but they seem so far from me. I pity my son Selman. He left his wife and kids and he has not seen them again. My son Selman says: “Ma’am Persida Acosta, thank you for visiting us at NBP. 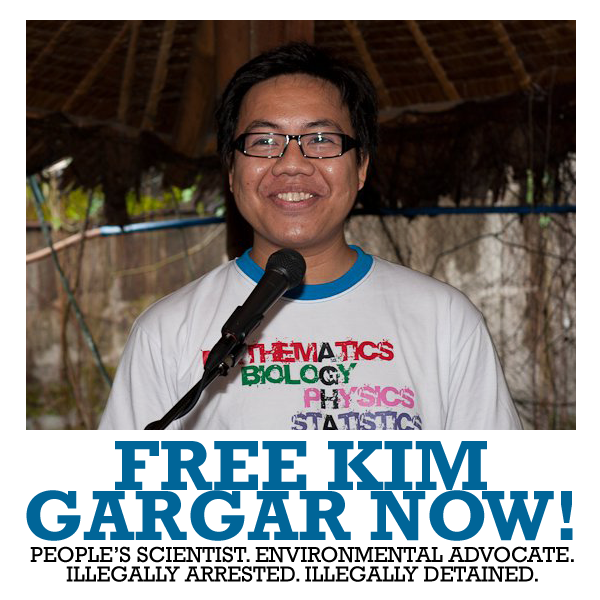 Please tell our President P-Noy to release us. We don’t want to spend our whole life so unproductive. My father and mother are old, please free them. I have not seen my family for long. I don’t know what has happened them. Members of Migrante-Netherlands recorded dramatic readings of the plight of political prisoners as part of a series of activities for Human Rights Week 2012 in the Netherlands. 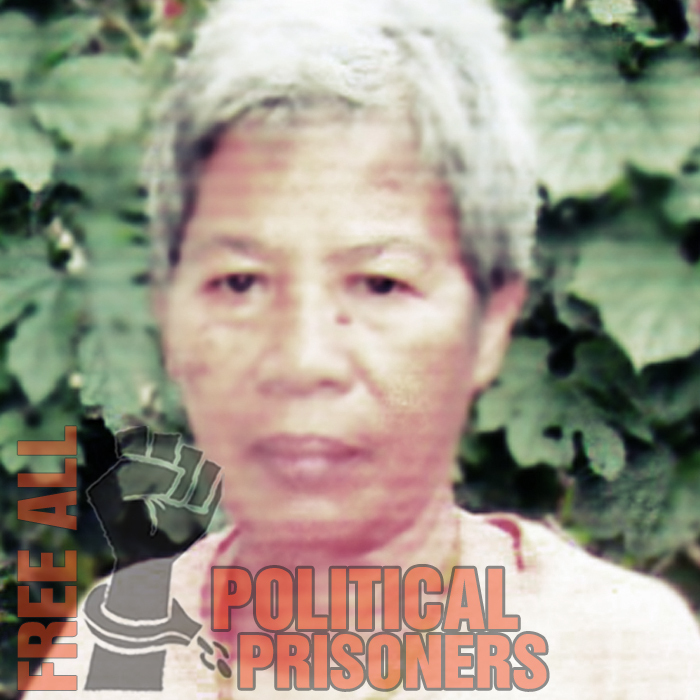 Migrante members Ruby, Juliet, and Gerlie recorded the first-person accounts of political prisoners as they narrated how they were forcibly taken, tortured and kept in prison. Luis jalandoni, chairperson of the negotiating panel of National Democratic Front of the Philippines and a former political prisoner himself, joined the members of Migrante in the recording session. These stories are among the 430 cases of political prisoners languishing in detention facilities in the Philippines.